Polex Environmental Engineering presents their e-Mission Control mobile dust and fume extraction units, which have been designed to suit a wide range of applications, especially for ongoing tasks due to its continuously cleaning filters. The Polex e-Mission control mobile dust and fume extraction units utilises antistatic spun bonded polyester filters to help cleanse the polluted air. 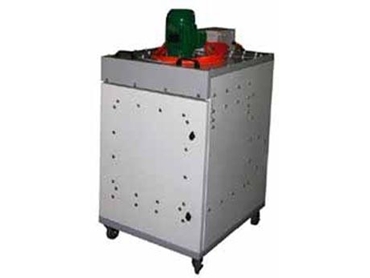 The mobile dust extractors are constructed from 1.2mm thick folded mild powdercoated steel and use an electric motor starter with start/stop push buttons and manual-push button for filter cleaning. The e-Mission Control mobile dust and fume extraction units are available from Polex Environmental Engineering.